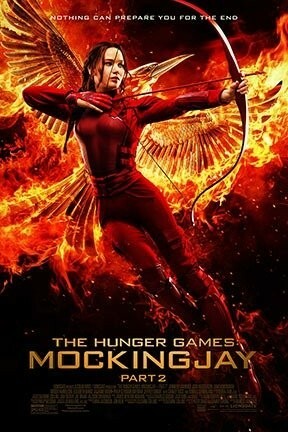 This fourth and final installment of the Hunger Games franchise is by far the most dour, consisting mainly of dim, uninspired battle sequences. The amazon heroine (Jennifer Lawrence) takes part in an armed insurrection against the totalitarian government that caused so much suffering in the other films. Like the previous episodes, this hinges on her loss of innocence; her crushing discovery this time is that the leader of the insurrection (Julianne Moore) is no more merciful than the dictator they aim to depose. There are some halfhearted lessons about the merits of democracy, but the priority is sci-fi action—too bad it isn't all that rousing. Francis Lawrence directed; with Liam Hemsworth, Donald Sutherland, and Philip Seymour Hoffman in his last role. The Hunger Games: Mockingjay, Part 2 -- The IMAX Experience is not showing in any theaters in the area.